Steven (Chicagoland, United States) on 18 October 2013 in Architecture and Portfolio. 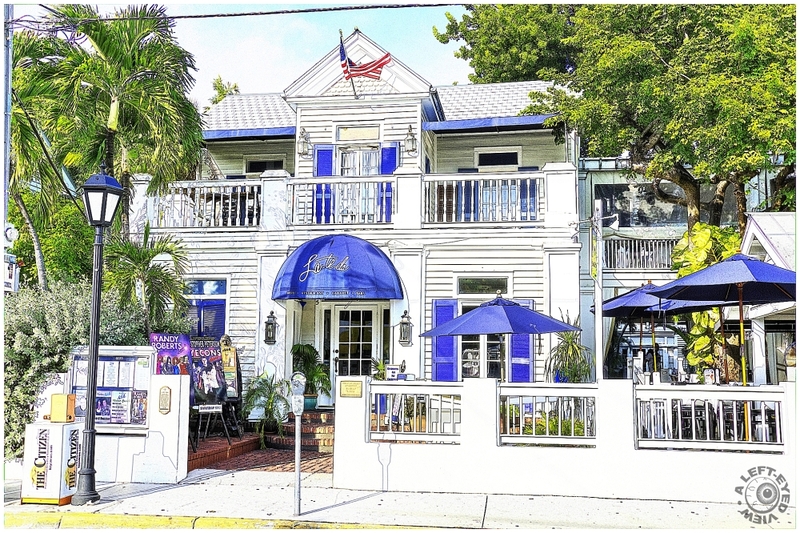 The La Te Da Hotel, located on Duval Street in Key West, Florida. Once known as the home of cigar manufacturer Teodoro Perez, it will forever be a part of Key West’s strong ties to Cuba. Teodoro was the owner of the Perez Cigar Factory, one of the largest factories in the 1890’s. This is one of the few grand estates remaining, built by a prominent cigar factory owner. Most of these impressive homes were either razed by fire, damaged by storms or were replaced in the name of progress. The house is best known for Jose Marti’s speech from the second floor terrace during his visit to Key West on May 3, 1883 to address thousands of Cuban sympathizers. Teodoro Perez welcomed the man who had become the symbol of Cuba’s bid for independence from Spain into his home to raise support and funds for the revolution. Marti is acclaimed as a national hero in the Cuban Revolution and spoke and wrote passionately for the political and intellectual independence of all Latin Americans. His life’s works were an integral part of the success of the Cuban War of Independence against Spain. Photo captured September 24, 2013 and processed using PhotoScape with the watercolor pencil filter. Wonderful shot and treatment - vibrant piece of history. Superbement décoré de bleu, magnifique traitement. Bonne journée. Wow ... you're right, Franz is going to love this image, as do I! A great capture and super processing, Steven. so beautiful frame, colors, lights & treatment! ANother fabulous image - this processing is amazing. Very nice treatment. I like. Thanks for teaching me this history. Very welcoming and attractive architecture and love the effect! This is fantastic. The blue colors produce a wonderful visual. Superb processing! That was a beautiful home. I am glad that it was saved and made into a hotel. Wonderful processing! That is a very nice image. The processing works with the shot nicely. A really marvelous house here! Interesting note too! A cool old mansion. Great processing again. This precessing is prefect for this shot. Well done. Excellent blue and white theme for this treatment. Classic building style. I like the processing very much. gorgeous blues in this cool processing !